Welcome home! 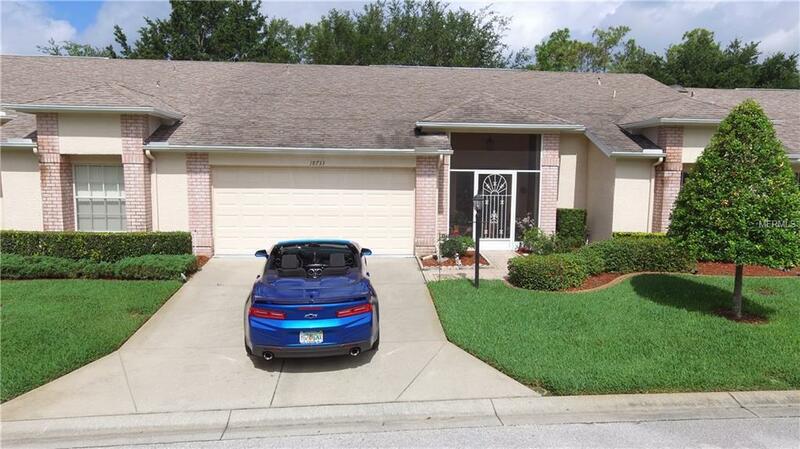 This villa is located in the desired 55 + guarded gated community of Heritage pines and is loaded with extras! Large dining area, a walk in tub, indoor laundry room, His and her master walk in closets, and screened front porch. Also a back patio area overlooking the beautiful well kept grounds of this amazing golf course community. New A/C 8-2017! The clubhouse offers a restaurant, bar, grand pool area and many activities!! Move in ready! Listing provided courtesy of Aqua Seas Realty Inc.